The Cabinet has approved a proposal to give additional powers to directly-elected mayors in Cork, Limerick, and Waterford. 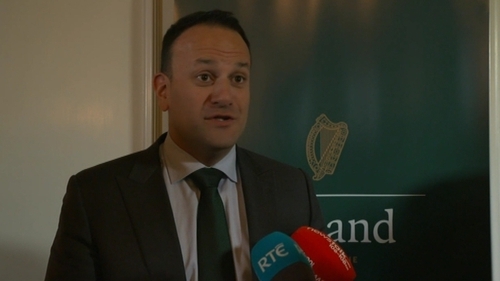 The Taoiseach Leo Varadkar said under the plan such a mayor would have targeted powers including the capacity to present the Council budget and development plan. However he said day-to-day decisions would rest with the executive officers. Mr Varadkar disclosed that a directly-elected mayor's salary would equal that of a junior minister. He said the relationship between a directly-elected mayor and the relevant county manager would mirror that of a minister and Secretary General of the line department. Voters in Cork City; Limerick City and County; and Waterford City and County will have the chance to back or reject the plan at the same time as the European and Local elections in May. The measures do not extend to include the capital's 4 Local Authorities as this will be considered by a Citizens Assembly.